The Flexi Floss Black Epoxy Buzzer works wonders on stillwaters, especially when fished very slowly on a Floating Line and as long a leader as is manageable. Its weight allows the fly to cut rapidly through the surface film and get to the fishing depth quickly, which often leads to takes on the drop. A very slow figure-of-eight retrieve is normally best, however, if there is a lot of buzzer activity, fairly fast stripping can also work well. 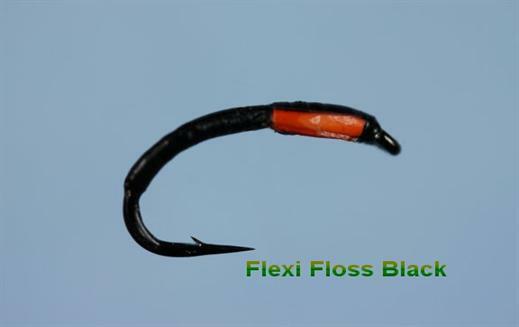 Currently there are no comments about the Flexi Floss Black Epoxy Buzzer fly pattern from other fly fishermen yet.